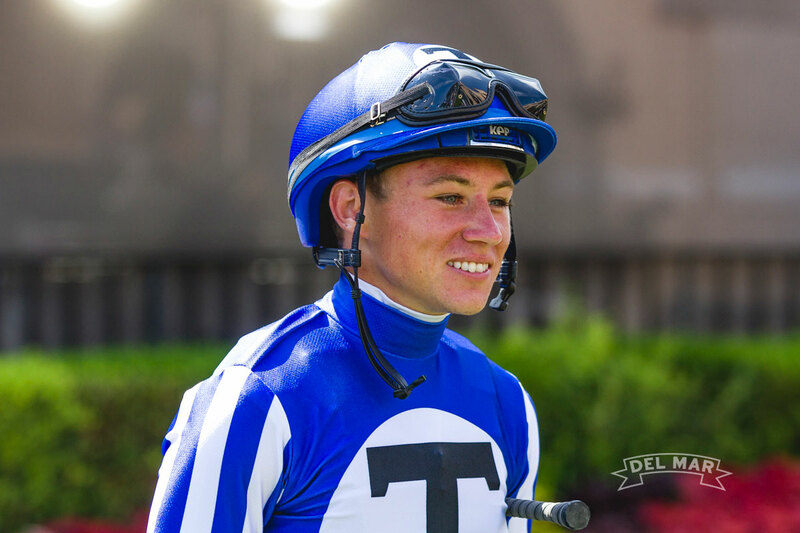 Drayden Van Dyke went from six behind in the rider standings to one in front with a Del Mar record-tying seven wins on Sunday, August 19, and tenaciously held on through the final 11 days of the meeting to secure his first major Southern California riding championship at the 79th Del Mar summer meeting. The 23-year-old native of Louisville, Ky., overtook defending champion Flavien Prat, who was serving a three-day suspension at the time, to take a 26-25 lead and finished the meeting with 42 wins to 37 for Prat. It tied for the highest win total since 2014. Van Dyke had won titles at the brief Los Alamitos meetings during an Eclipse Award-winning apprentice campaign in 2014, but the championship was a first at Del Mar or Santa Anita in five years on the circuit. Miller said he had no expectations of a third training title coming into the meeting. But the wins started piling up and Miller went from tied for the lead after two weeks to three wins in front after 15 days, to seven in front entering the fifth week. He maintained the advantage entering the next-to-last week of the meeting, boosted the lead to 12 entering the final week and coasted home. Miller finished with 31 wins from 114 starters with 16 second and 13 third-place finishes, a 27 percent win rate and 53 percent in-the-money figure. Doug O’Neill was second with 21 wins. Miller’s total was tied for second in the 21st Century at Del Mar, one short of 32 posted by Bob Baffert in 2000. Van Dyke was also the top rider for stakes wins with nine. Prat and Tyler Baze had seven each. John Sadler had eight stakes victories, tying a personal record at Del Mar, highlighted by the victory by Accelerate in the $1 million TVG Pacific Classic.